Properties in United States average 4.6 out of 5 stars. Property 1: The Vacation You Dream About! Vacation Rental With The Most Incredible View Available For Booking Now. Property 7: Vacation Rental With The Most Incredible View Available For Booking Now. Totally Remodeled 2012 Brenner Tower! Property 8: Totally Remodeled 2012 Brenner Tower! Located at Palms place hotel condo. We offer free parking and no resort fees. Property 9: Located at Palms place hotel condo. We offer free parking and no resort fees. 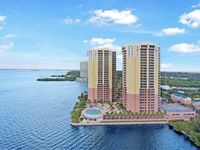 3 BR 2 BA with AMAZING 8th Floor River & Gulf View! Property 11: 3 BR 2 BA with AMAZING 8th Floor River & Gulf View! NEW LISTING! Unique rental w/ large deck & full kitchen - close to the slopes! Property 12: NEW LISTING! Unique rental w/ large deck & full kitchen - close to the slopes! Property 14: Reduced prices in May! NEW LISTING! Step outside to your own canal view at this lovely townhome! Property 27: NEW LISTING! Step outside to your own canal view at this lovely townhome! Coronado Shores 15th Fl., stunning bay + city views, new modern remodel. Property 36: Coronado Shores 15th Fl., stunning bay + city views, new modern remodel. New Listing! Unique Fire Lookout cabin on Lake Five - Minutes from Glacier! Property 38: New Listing! Unique Fire Lookout cabin on Lake Five - Minutes from Glacier! **SEE VIDEO!! ** RoofTop Penthouse with HUGE PATIO Overlooking ALL of Las Vegas!! Property 42: **SEE VIDEO!! ** RoofTop Penthouse with HUGE PATIO Overlooking ALL of Las Vegas!! It was a great place and was very nice. Would definitely love to stay again sometime. Thank you. Great place to stay. Clean, well kept, different.